Red Nose Day (also known as Comic Relief) is a biennial UK charity event which aims to raise funds for a range of worthy causes in the Uk and Africa. See here for details on the incredible work they do. Their efforts usually culminate in a live TV event on March 15th which informs the viewers of the total amount raised and how that money will be spent. The main idea of the organisation is to utilise fun and entertainment as motivation for raising money. On the evening many sketches are showcased and familiar faces make an appearance. See below this wonderful sketch to give you a flavour of the general idea. I’ve created the group “Good for Good’s Sake” here. Its intention is hopefully self-explanatory. You are able to donate via debit/credit card or PayPal by clicking “Sponsor Us”. Alternatively, would you like to join the “Good For Good’s Sake Team” and organise your own fund-raising activity? This can be anything from selling cakes at work, to getting people to sponsor you to do something “wacky” for the day. Simply click on “Join Team”. From here you will be able to set up your own profile and donations page. Your own fundraising profile will be displayed as a member of the #GFGS Team, and your total donations will also contribute towards the #GFGS team page total. Anything you can do to raise funds will be fantastic. I’ll share pictures, stories etc relating to any fundraising you have done here on my blog and via Twitter. This isn’t an opportunity to divide or make an anti-religious message, but to combine our efforts to do something good simply because we can. I often find “charity” is a card played when debating the advantages of religious belief. It is often assumed those without religion are lacking in generosity and empathy. This is simply not true. Since creating my Twitter account I’ve been overwhelmed by the general active attitudes of those kind enough to engage with my tweets and feel this would be a fantastic opportunity to put this to good use. Hopefully we can achieve something we can all be proud of. I made the #GFGS team page active this morning (Thurs 28th Feb) with a target amount of £250. Less than 24 hours later we’ve already passed £1000. This is simply incredible. What will the total be when March 15th arrives? Where to start? The response has been truly astonishing. Upon setting the fundraising campaign into motion, I had to dissuade myself from confirming a £500 target amount, fearing it would be too unrealistic or presumptuous. The target limit was therefore initially set at £250. This was surpassed in less than two hours. 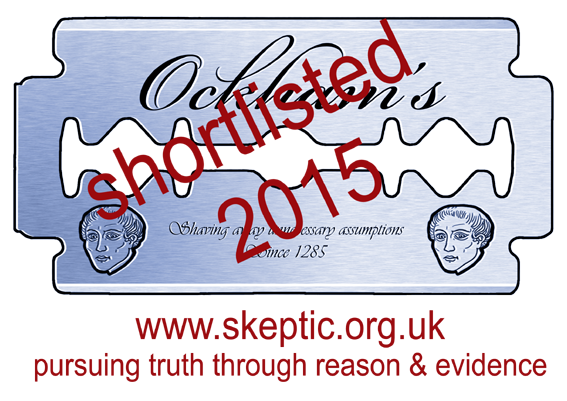 In less than 24 hours we had already passed £1000. It appears I had absolutely no comprehension of the magnitude of generosity that exists among my fellow Twitter comrades. Thank you. You are wonderful. The total amount we’ve raised currently stands at £3778 ($5698 US). This, without a doubt, will make a huge difference to many people. Take a look at the various ways in which your money will be used to help those who desperately need it. Amazingly, this puts us in 10th place on the Red Nose Day “Leaderboard Legends”. This leader board is comprised of every single team that is currently fundraising for the Red Nose Day cause. This to me is an absolutely incredible achievement. Well Done! It is probably unrealistic to think we will be in the top 10 ten when March 15th arrives (then again, what do I know, I thought £500 was unrealistic), but the fact we have featured there at all, this close to the event, is something everyone who has contributed should be proud of. A huge thank you to everyone involved with team #GFGS so far. Who else would like to be able to say they were part of something important? How far can we go with this? Have you donated yet? Do you want to set up your own fundraising page and become a team member for #GFGS? Click here to join the team or donate or both! I think this is so fantastic — kudos. I would like to have done more in the way of a team effort (such as one woman on Twitter who mentioned doing a bake sale) but am very short on time these days so my small contribution will have to be it this time around. Will look forward to seeing how big that number gets! 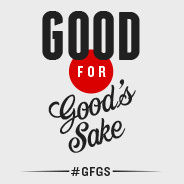 Join #GFGS (Good for Goodness Sake) on twitter in time for Comic Relief – 15 March 2013 Red Nose Day. I don’t have the ability to remove you from email notifications that you have signed up to. I’d suggest checking for an “unsubscribe” link on the actual emails.